Are you trying to figure out how to start a small business even though you don’t have the extra money to do so? It is possible, but it will take planning and sacrifice. You have to decide for yourself, and with your family, how much you are willing to risk to be your own boss. Being armed with some strategies is a step in the right direction. It will certainly allow you to make more well-informed decisions. Let’s take a look at some ways you can reduce the financial strain of starting a business. A gradual transition from salaried to business owner. These first tips are options for starting your business while still partially employed at another job. Keep drawing a salary but at a reduced rate: One method for starting your own business is to continue working at your current job but to reduce your hours. Before approaching your employer with this option be sure you take inventory of why and how your company will benefit from keeping you on. It is best to back up your request with solid reasoning. You also want to pay close attention to the timing of your request. Make sure you are prepared to walk away from the job if your employer denies your request to cut back hours. Create another stream of income: Think about some skills that you possess that you could use to make money that won’t require too much time or energy. Maybe you can conduct training seminars or do freelance work. Check out some virtual e-lancing websites for short-term professional opportunities. Ways to stretch your dollar. Here are some ideas for making the most of the money you have now or that you can easily get. 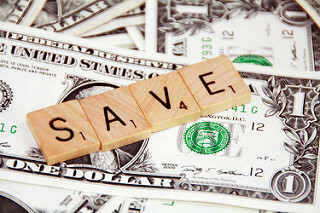 Reduce your current expenses: Do a careful analysis of your discretionary expenses and choose those that you can let go. Often you can save thousands of dollars this way. Also look out for hidden expenses you may be paying. Examples include credit card interest rates, bank charges, late fees, cable tv, or phone plans. Borrow where you can: You don’t necessarily need to take out a business loan to cover your start-up costs. Look into refinancing your home or taking out a line of credit. Using your home to finance your business is dangerous. I recommend that you contact a financial advisor before you use your home to finance your business. You might also be eligible for low-interest loans from credit card companies. It is recommended if you decide to go this route that you do so while still employed. As soon as you quit, your rating as a borrower will quickly decline. Get started while you’re still employed. You don’t have to leave your current job before you start a business of your own. Here are some ways to get started now. Find your niche: Take some time to identify the services you’re uniquely qualified to provide and those you most enjoy providing. Write them down. Next, think about what people would benefit from those services and who would be willing to pay for them. Then, consider the ways you can provide the services. Create a marketing plan: Don’t be scared! In this initial stage, consider the following: How will your business make money? What are you going to sell? Who is your customer? How will you describe your product or service? How will you package it? How will you set the price? Don’t be scared: It is natural to feel fear, especially where money is concerned. Acknowledge to yourself and others that you are taking a risk. Once you admit that you are fearful, then you can manage that fear. Get support from people who believe in you. Remember that there are many others out there wondering how to start a small business just like you are. You are not alone! Good luck!